We are noted amongst the foremost trader, exporter, importer and supplier of superior quality Automatic Smt Glue Dispensing Machine. 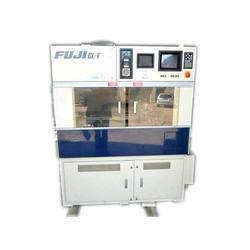 In addition to this, the offered machine is extensively used in various large scale industries. Procured from some of the trustworthy vendors of the industry, these are developed at par with the universal standards using premium grade raw material and latest technology. Board capacity: Maximum 20" x 80"
Looking for Pre Owned Glue Dispensing Machine ?